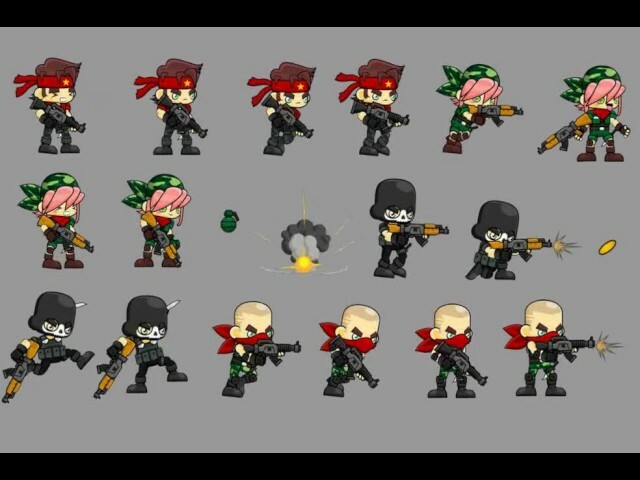 A collection of various characters spritesheets for creating a 2D platformer or sidescroller game. Especially for side scroller, action, military, soldier, mercenary shooter game. 22 animation states. Each with 10 frames.